On the heels of his annual State of the City Address, Mayor Tom Barrett weighs in on Milwaukee being chosen to host the 2020 Democratic National Convention. “This is a great day for the city of Milwaukee and for the state of Wisconsin,” said Barrett. This is the first time the Democratic Party has held a national convention in the Midwest outside of Chicago since 1916. Prior to the convention announcement, Barrett noted in his address that he was optimistic for the decision. "When I first came up with this idea back in 2013, the Fiserv Forum didn't exist and Milwaukee had a lot fewer hotel rooms. Fast forward six years, and we are ready to roar!" 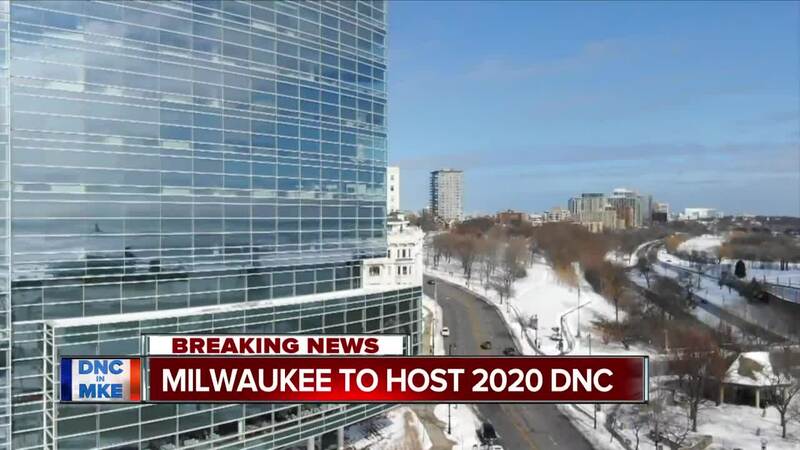 "This choice is a statement of our values, and I'm thrilled Milwaukee will host the 2020 Democratic National Convention. The Democratic Party is the party of working people, and Milwaukee is a city of working people," said DNC Chair Tom Perez. Home to some of the country's biggest brewers, including Pabst, Schlitz, Miller and Blatz, Milwaukee's metro area has a redeveloped downtown, a hotel capacity exceeding 17,000 rooms and a new downtown streetcar line that opened in November. “Milwaukee is a first-class city, and we are ready to showcase Milwaukee on one of the largest stages in the world," Barrett said.